I’m back with more self-tanning product reviews. You can read all about my story with self tanners, as well as reviews of three other self-tanners here. In terms of bronzing and self-tanning, I’ve done it all. 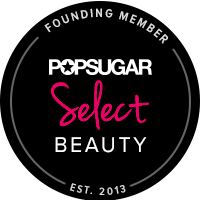 From the gradually-developing spray-tans in an automated booth, to the somewhat awkward experience of being bronzed with an airbrush while standing in my undies before a technician – I’m a self-tanning veteran. For your quick reference, I have rated the following products on their ease of use, as well as the intensity of the tan after a single application from 0 to 5. 0 is equal to no noticeable change in color after a single use, and 5 is equivalent to the darkest result achievable without looking like a reject-extra from the Jersey Shore. For those more experienced with self-tanning, I would compare a result of 5 to a salon spray-tan where you achieve the final level of intensity after a single visit. 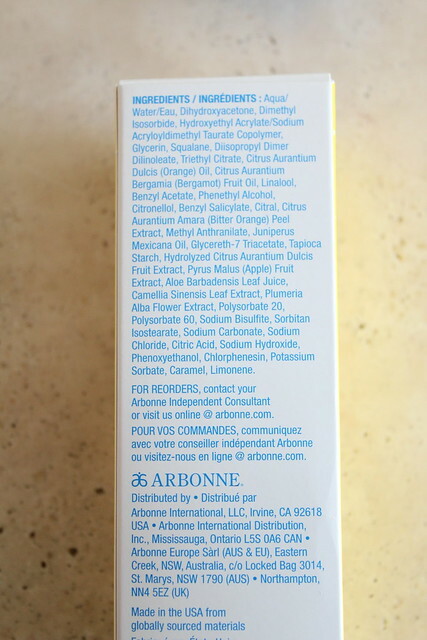 Next up is the Arbonne Liquid Sunshine Tinted Self-Tanner. Unlike the first two products, this product is a gel formula that promises to deliver results in two hours. It is applied with your hands all over the body like a moisturizer and it promises to be quick-drying and moisturizing. I’m not even sure where to begin with this product because it is so appallingly terrible. Firstly, it reeks. The initial scent is reminiscent of sunscreen and is rather pleasant, but after oxidizing on the skin it smells very strongly of coppery-chemical self-tanner, which does not dissipate until being rinsed off. My biggest problem with this product is that it is sticky and not quick-drying in the least. I applied this product all over my body a few hours before going to bed, and I was waking-up in the middle of the night because I was so, so sticky from the application that my bedsheets kept getting glued to my body. It never really seemed to get better, either. I had to rinse it off the next morning to get rid of the stickiness and smell. Initially, I spent as long as I could not getting dressed after the shower, trying to wait for the product to dry, but it never did. I really hope that if you chose to use this that you stick to wearing black clothes for the next several days. Even after a second shower, I noticed that it left orange streaks on my bathroom towel. The one somewhat redeeming quality is that this tanner made me very dark after a single application, and that even though I had clothing and bedsheets literally glued to my body for most of the first night, the application was still somehow even. However, this product is so torturous to wear and apply that I will never use it again. It’s thick, smelly, disgusting formula is not at all off-set by its somewhat decent results. 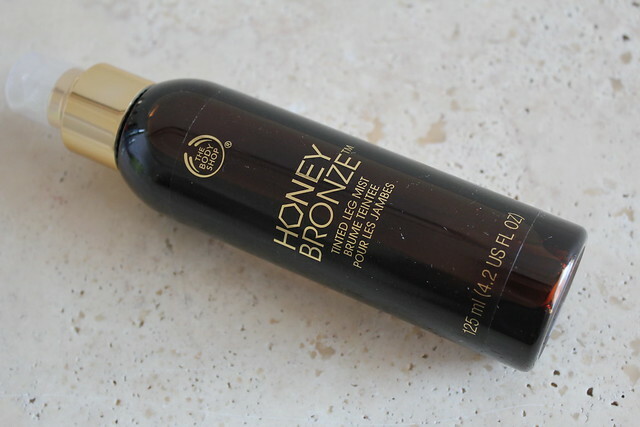 Next, I have the Honey Bronze Tinted Leg Mist from the Body Shop. Unlike the gradually-developing self-tanners mentioned above, this product is meant to wash off and it does not stain/color your skin in the long term. 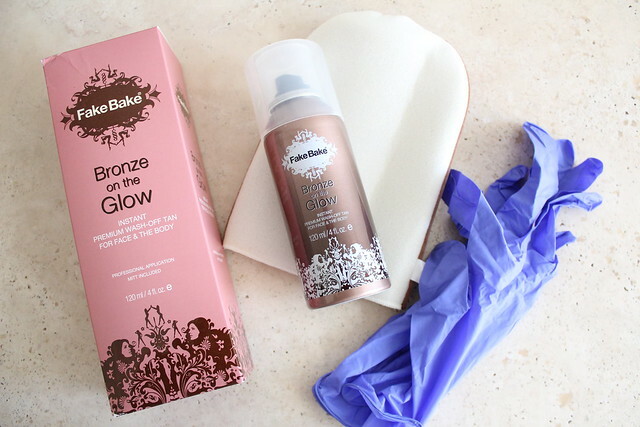 This product is great for giving you a bronzed look if you don’t want to wait overnight for a self-tanner to develop. Generally, I stay away from tinted, wash-off tanners because I like to have a somewhat more lasting color. However, I am very impressed with this product. Not only does it smell absolutely divine (like honey!) but it is extremely easy to spread around streak-free. It gives you a nice, deep chocolate color without any orange undertones. If you already have a nice bronzed base, spritzing a little bit of the Honey Bronze Tinted Leg Mist will darken your color and give you a nice boost for a night-out. This product stays put until your next shower, and after drying (in under a minute) I have not found it to stain my clothes or smear with wear. 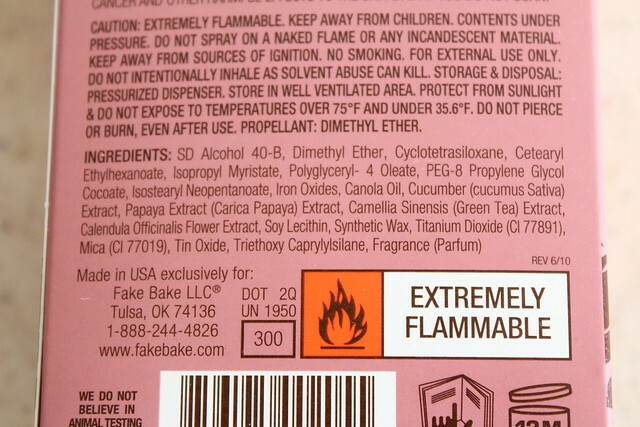 Also, it comes with a non-aerosol dispenser which is eco-friendly! Jus rub it in with your hands after spraying on the skin and you are ready to go! 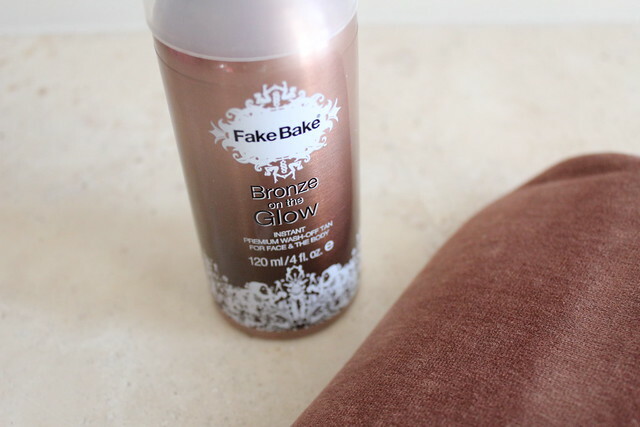 Lastly, I have the FakeBake Bronze on the Glow instant wash-off tan. This product is similar to the Honey Bronze Tinted Leg Mist in that it is a tanner that is supposed to wash off, and it doesn’t color or stain your skin like a developing self-tanner. This product is dispersed through an aerosol nozzle and it comes out slightly shimmery and beige. I have also received a foam mitt to help with the application of this product. Personally, I don’t love this product. I think that the shimmer is a little heavy, and I would prefer a more matte finish. Additionally, it doesn’t dry as fast as the Honey Bronze Tinted Leg Mist and unless you really work on the application with the foam mitt, it is prone to coming out a little streaky and uneven. On the bright side, it dries extremely fast (in seconds) and smells of lovely vanilla/cocoa undertones. 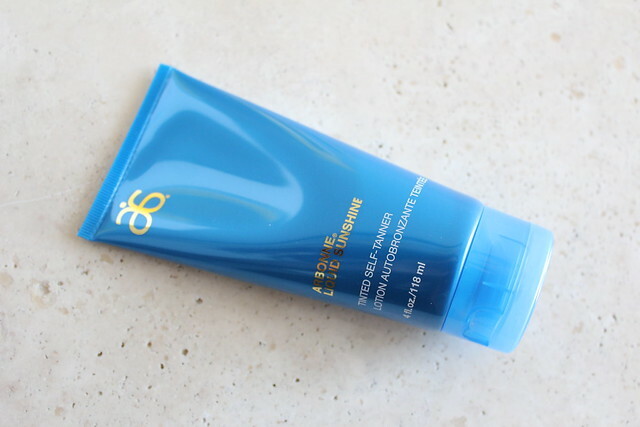 As mentioned earlier, I am partial against wash-off tanners so I cannot see myself using this product frequently because it isn’t anything revolutionary, but it is definitely worth checking out if you are a fan of temporary bronzing. That’s it for my summer self-tanner reviews. Have you seen anything here or in my earlier post that piques your interest? Do you rely mostly on self tanners or do you go out into the sun for a tan?